This tool calculates various descriptive statistics on a set of samples stored in a text file: mean, median, variance, standard deviation, confidence interval around the mean and median. It can also produce an histogram of the samples. In that case, be careful at the step value used, since this parameter may dramatically change the results. which will call descr_stats for all files whose name has a ".trc" extension in the "trace_dir" directory and its sub-directories, taking into account the data present in the first column. If you are not familiar with the various notions, please read this document. 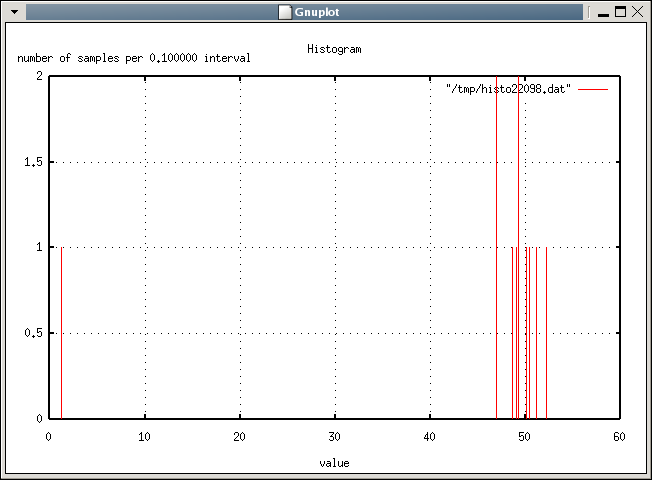 The histo*.dem file can then be given to gnuplot to produce the histogram. Now uses the quick sort function provided by the C runtime library which has the advantage of accepting numbers in scientific notation (thanks to Holger Machens for the fix!). Changed all float variables to double for increased precision. Added the non-interactive mode which enables this tool to be called recursively, from a script, on various trace files.